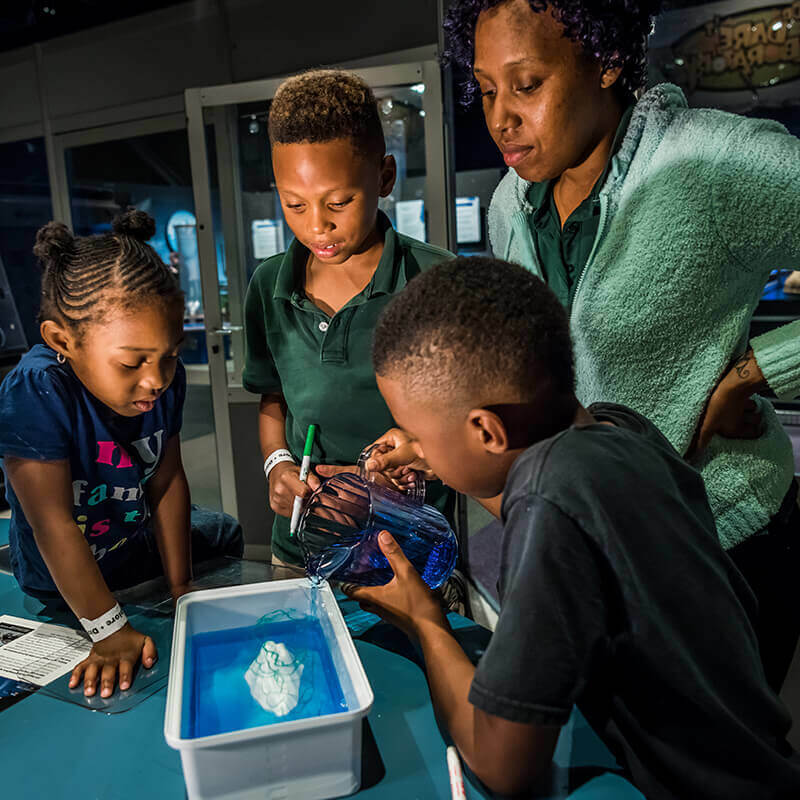 The Science Center provides all the materials and instructions you’ll need to become a real scientist! 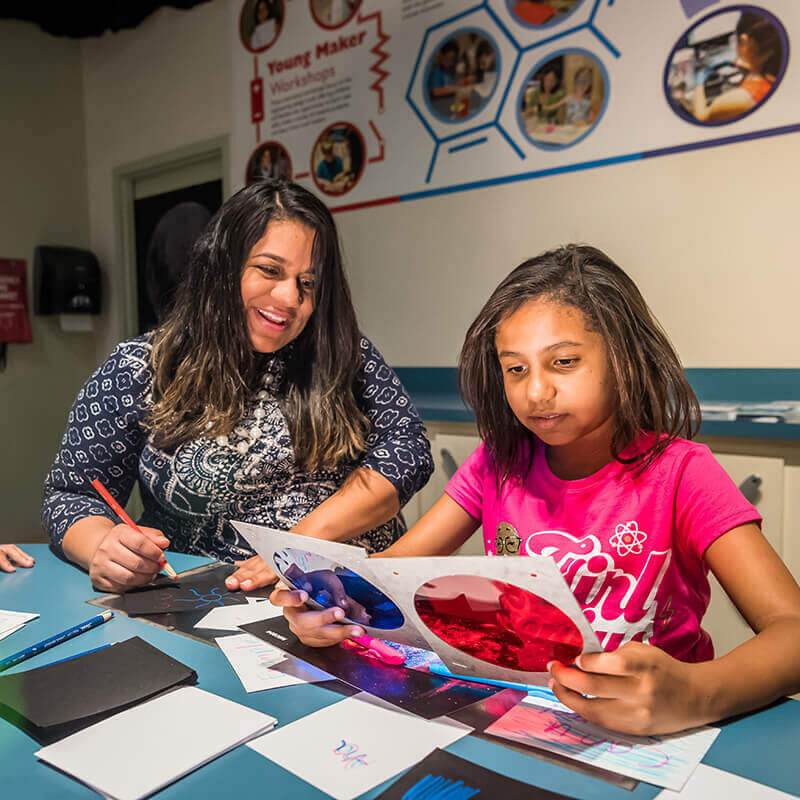 With guidance from our staff, explore colorful light, electrifying circuits, crazy chemical reactions, or investigative forensics! The possibilities are endless for guests of all ages. 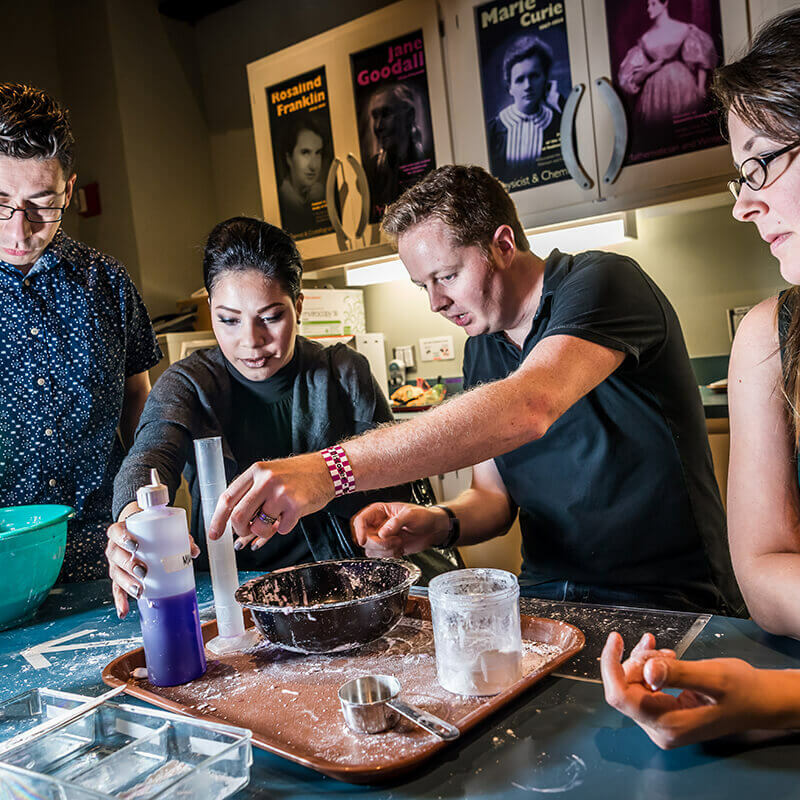 Discover something new in Dr. Dare’s Lab, where you can participate in open experiments on Saturday and Sunday afternoons. Check the Science Live! Calendar or pick up a Daily Schedule to see what’s happening during your visit. Content and times subject to change. 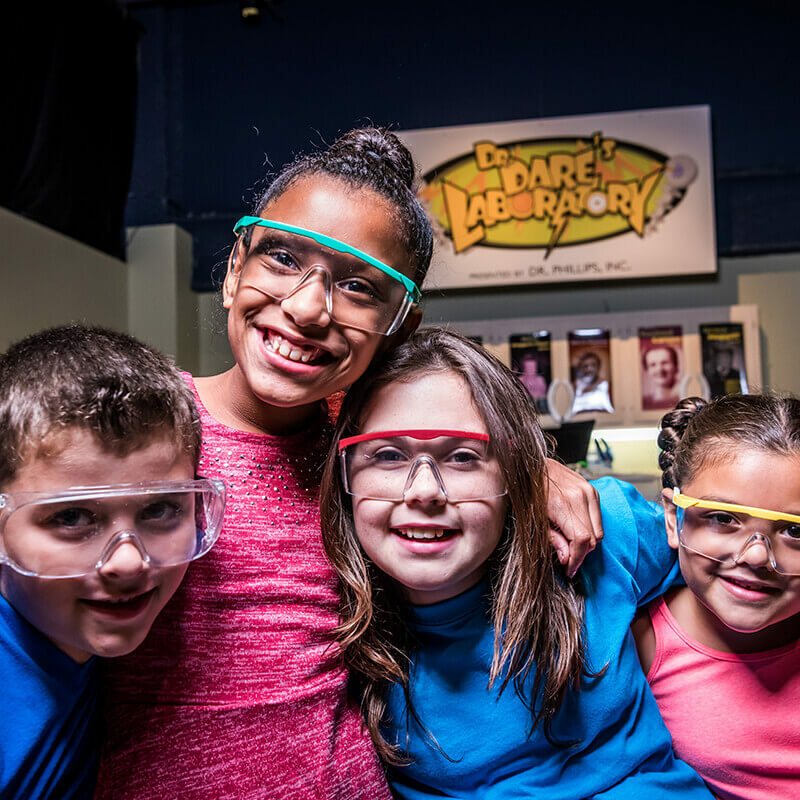 You get to be the scientist in our real laboratory where science comes to life with 7 hands-on experiments that change every month. Recommended for ages 6 and up.